Rhys Baker teaches science at Arthur Mellows Village College in Peterborough, UK. 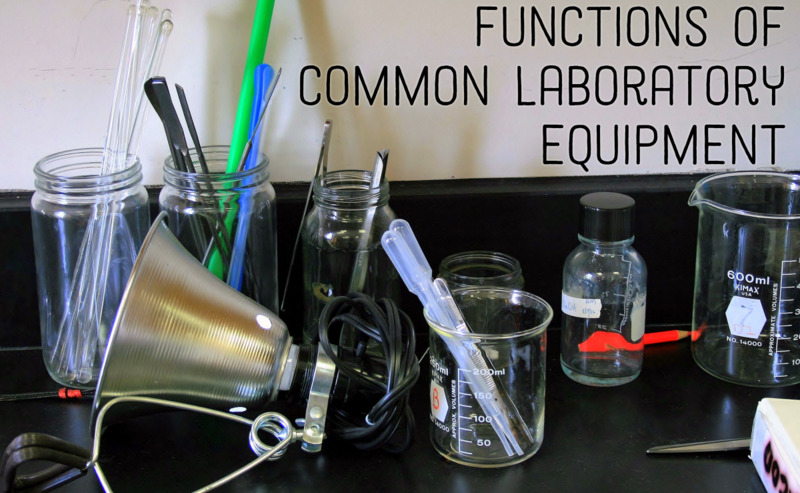 Bunsen Burners, test-tubes filled with brightly coloured fluids, goggles and strange smells; this is the world of chemistry - at least to someone starting high school! Chemistry is a practical subject that is at the heart of our technological way of life. Chemistry is the study of the matter that makes up our universe, the energy that powers it, and how these two interact. From a slightly more down-to-earth perspective, everything from fireworks to cleaning products to paint is chemistry. This hub examines the answers to some of the top chemistry-related science questions I have been asked by my students in our science lessons. The pH of an acid is determined by the concentration of Hydrogen ions (H+) the substance has when in solution. 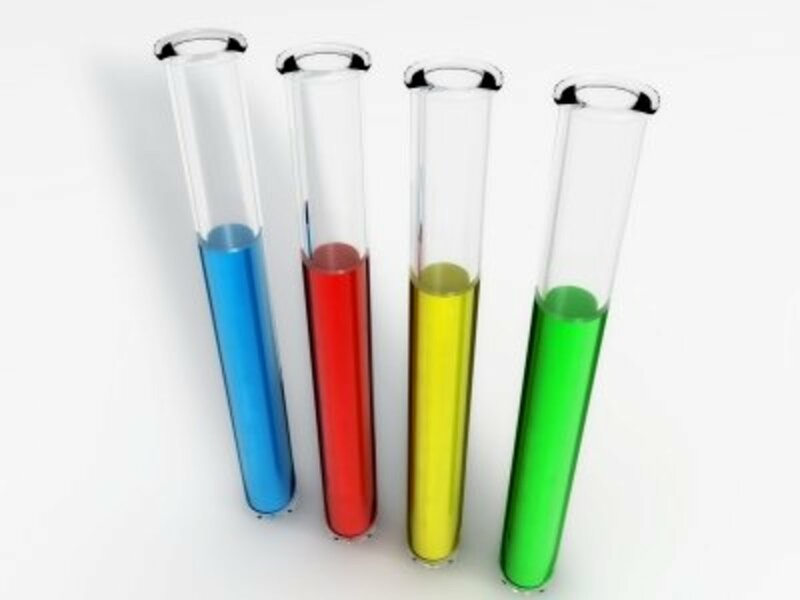 All acids contain hydrogen ions when in solution; the higher the concentration of H+ ions, the lower the pH. Fast Fact: Bee stings are acidic. They can be neutralised using baking powder which contains sodium hydrogen carbonate - a base. An atom is the smallest recognised division of a chemical element and is made up of three particles: the proton, neutron and electron. 99% of the mass of the atom is held in the central nucleus, comprising the protons and neutrons. The negatively charged electrons whip around the nucleus in orbital shells of different energies. The number of protons in a nucleus is called its atomic number. The number of electrons in an atom is equal to the number of protons - this means that atoms have no overall charge. If an atom gains or loses electrons, it is called an ion. 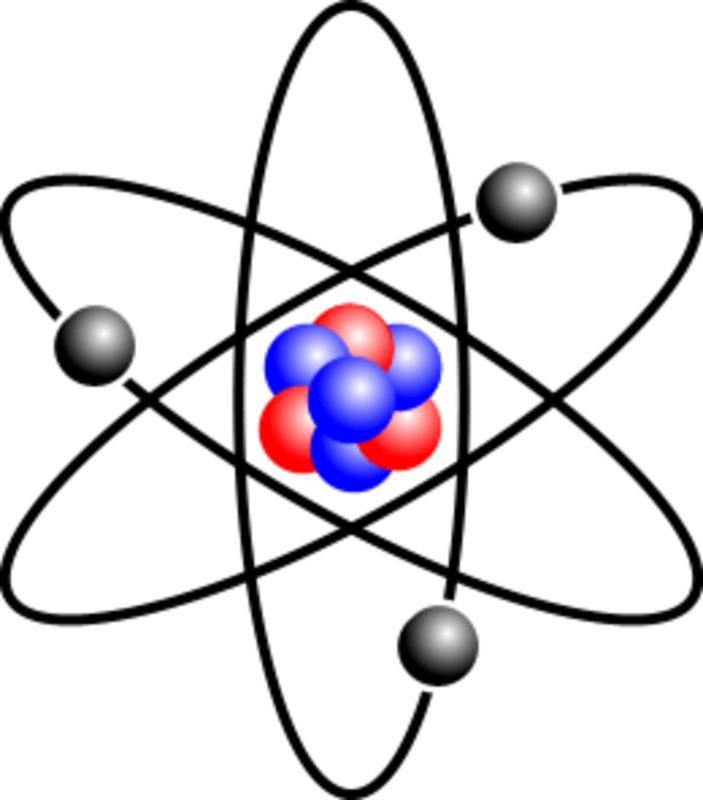 Fast Fact: The word Atom comes from the Greek word for 'indivisible' - ironic, seeing as we know atoms are made of even smaller subatomic particles. The table shows the electrical charge and relative mass of the three major sub-atomic particles. These sub-atomic particles are comprised of even smaller particles. 3. What Is the Periodic Table? 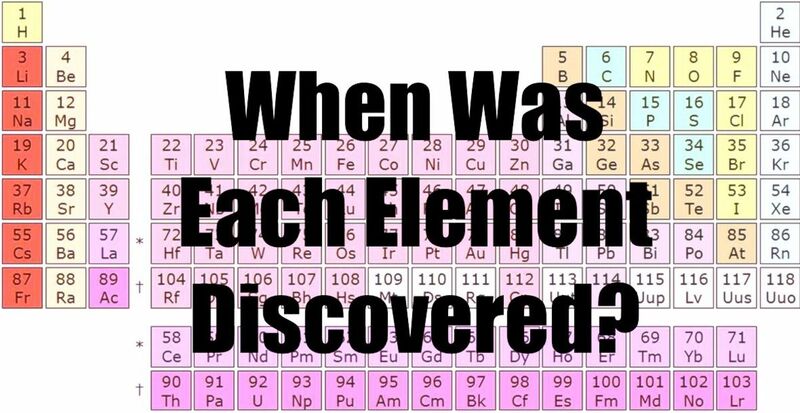 The Periodic Table is how scientists have organised the 100+ elements that make up all matter. It was proposed in 1869 by Russian chemist, Dmitri Mendeleev. 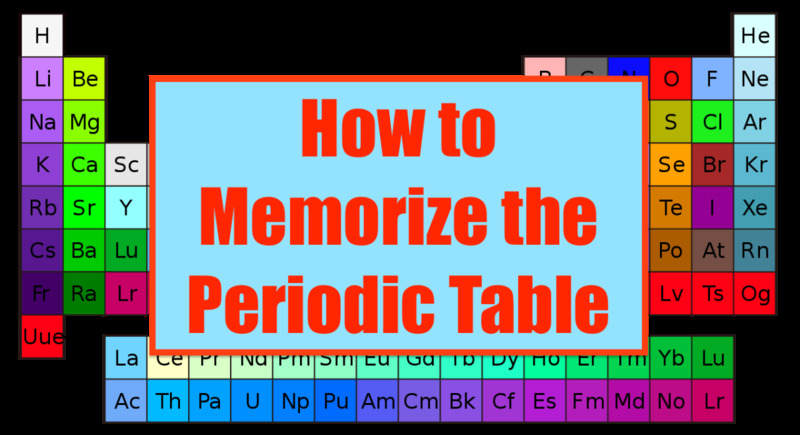 Unlike previous attempts to organise the elements by properties, Mendeleev arranged the elements in order of the mass of their electrons. He also left gaps for elements that had not yet been discovered. This allowed him to predict what those undiscovered elements would be like. Periods: these go across the table from left to right. As you move in this direction, the number of protons in the nucleus of the atom increases by 1. Groups: each vertical column is a group. Groups contain elements with the same kind of properties, because they usually have the same number of electrons in their outer shell. In Japan, the word for Iron is tetsú; in France it is fer.To prevent communication problems, scientists use symbols which are the same all over the world. 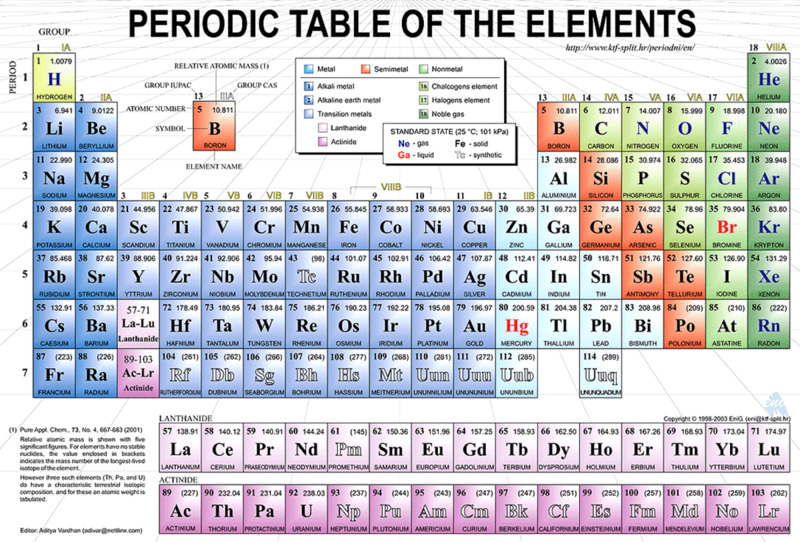 Fast Fact: All the letters of the alphabet are used in the Periodic Table, except J. 4. What Is the Reactivity Series? 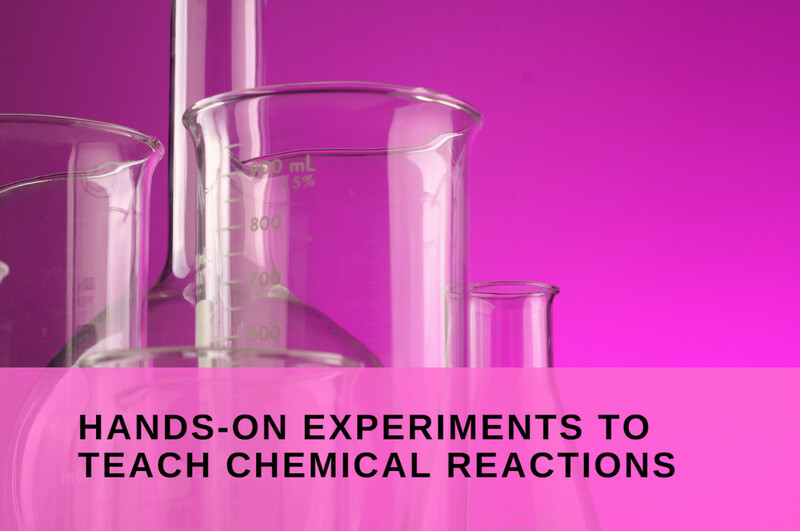 A chemical that undergoes reactions easily is said to be reactive. The Reactivity Series of metals is a type of chemical league table. It shows the metals in order with the most reactive at the top. The Reactivity Series is grouped based on whether the metal reacts with oxygen, water and acids. If two metals come out equal based on this, we look at how fast they react - just like using points difference in a sporting league table. 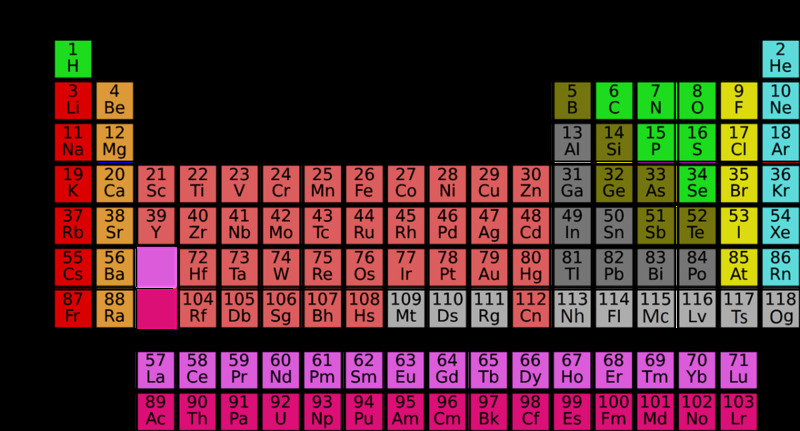 The most reactive metals are the alkali metals - group I of the periodic table. As you move down this group, the reactions get more violent. The video shows the reactions of the first four metals in group I: Lithium, Sodium, Potassium and Rubidium. There are two more metals in this group: Caesium and Francium. These both explode on contact with water. Fast Fact: The group I metals are called 'alkali metals'; when they react with water they form an alkali solution. 5. How Do Glow Sticks Glow? The glow in a glow stick is the result of two chemicals reacting together and giving off light energy in a process called chemiluminscence. Inside a glow stick is a glass vial containing different chemicals (usually phenyl oxalate and a fluorescent dye). This sits inside other chemicals (usually hydrogen peroxide) contained by the plastic tube. When you snap the stick, the glass vial breaks and the two chemicals mix and react. 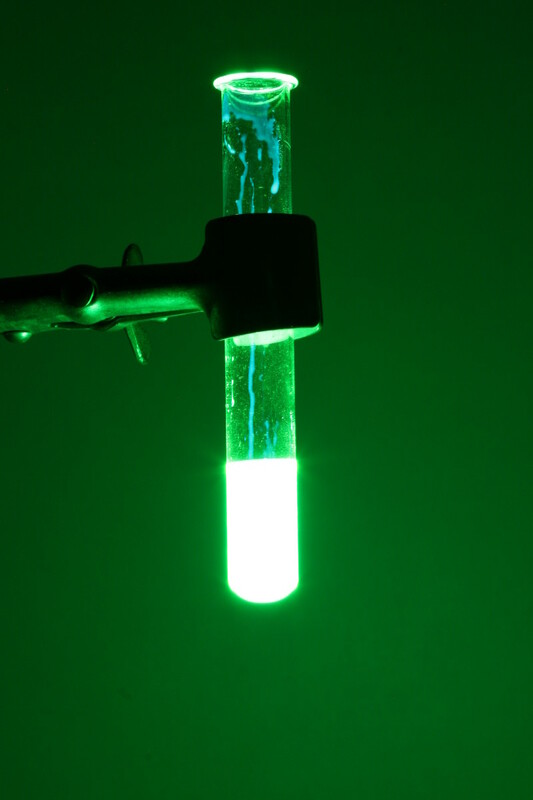 This is a process known as chemiluminescence: when the chemicals mix, electrons in the constituent atoms are raised to a higher energy level. When these electrons return to their normal state, they release light energy. Glow sticks have a wide variety of applications from military, to diving, to night-time fishing lures. Fast Fact: The world's largest glow stick was 8ft 4 inches tall! 6. How Do You Get Different Coloured Fireworks? Fireworks are a personal favourite of mine, with firework science being particularly popular amongst my pupils. The different colours are created using different chemicals, and one of two different chemical reactions: incandescence (light created through heat) and luminescence (light without heat). Fast Fact: The largest single firework to be set off was in Japan in 1988. The burst was over 1 kilometre across. Oranges, reds and whites are usually made through incandescence. Blues and greens are usually made through luminescence. 7. What Is an Alloy? Alloys are mixtures containing at least one metal. We use metals for many jobs in our technological world and sometimes a metallic element just won't cut it. Take iron - whilst extremely strong, it is also very brittle...not something you want to build a bridge out of. Add in a little carbon and you make steel - an alloy with the strength of iron but it not brittle. Alloys contain atoms of different sizes, which makes it more difficult for the atoms to slide over one another. This makes alloys harder than the pure metal. Certain mixtures are even more impressive. Mix nickel and titanium and you get Nitinol, a smart alloy used to make spectacle frames. If you bend your glasses (let's say, by sitting on them...again) just pop them into hot water and the frame returns to its original shape. Fast Fact: Nickel-Iron alloys are common in meteorites. 8. How Does a Match Light? Match heads are made using phosphorus - a highly combustible element - that catches fire due to the friction caused when striking the match. Safety matches are slightly different. They will only light if you strike them using the surface on the side of the box. 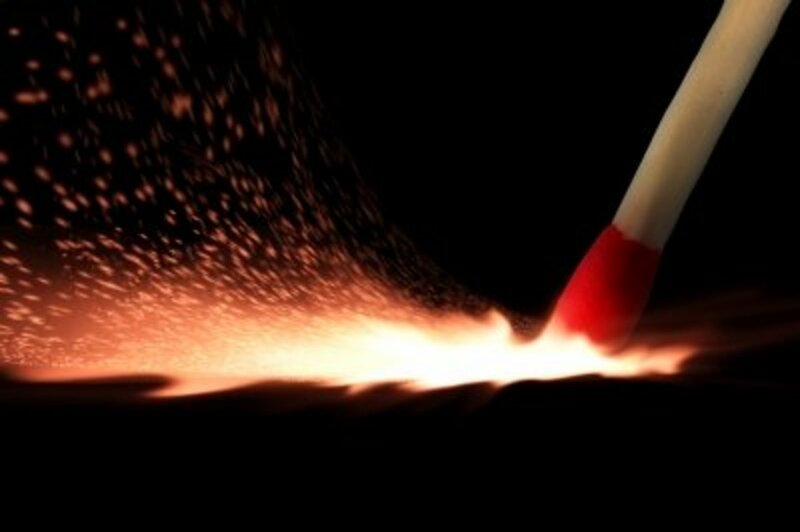 In this case, the match head contains potassium chlorate - an accelerant that speeds up the reaction. The rough side of the box contains most of the phosphorus. Bring the two together and add the heat generated by friction, and you have a flame. Waterproof matches have a thin coating of wax over the whole match. This is removed when striking the head against the box, exposing the phosphorus. This allows the match to catch. To give you enough time to move the match to whatever you wish to light, most matchsticks are treated with paraffin (candle wax). Fast Fact: The first friction match was invented in 1826 by English chemist, John Walker. The earliest match is thought to have arisen in China in 577 AD. These were nothing more than sticks impregnated with sulphur. 9. How Does the Mentoes/Coke Explosion Work? Bubbles in fizzy drinks can only form at points called nucleation sites - these are sharp edges or bits of dirt or grime that helps the release of carbon dioxide gas. A mento is actually not as smooth as it appears. Under a microscope you can see that there are millions of tiny craters on the surface. Each of these provides a nucleation site for carbon dioxide gas to form. Fast Fact: Diet coke works best because the surface tension in the drink is much lower than regular coke - this allows bubbles to form more easily. This is due to the substitution of sugar with the sweetener aspartame. 10. What is the Ozone Layer? The ozone layer is a massive shield that surrounds the Earth, 50kms above the surface of the planet. Ozone is a special molecule of oxygen: O3. 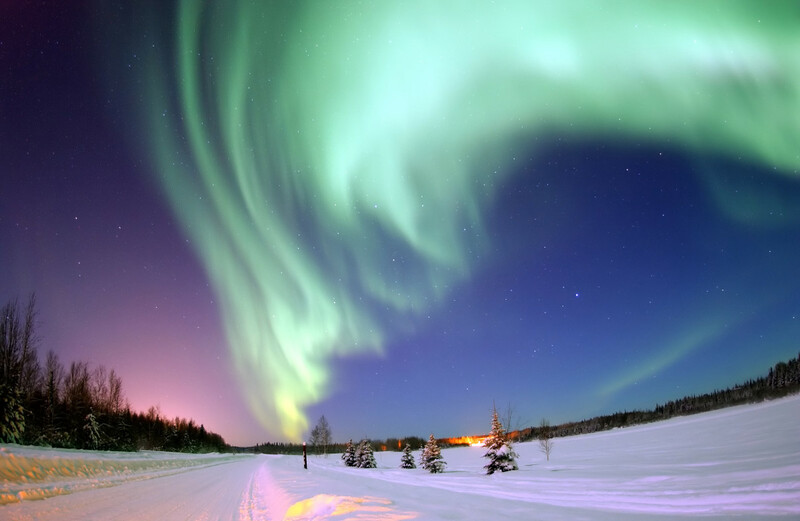 It is up to 20kilometres thick and most of this gas is found in the stratosphere. Ozone gases are our protection against UVB radiation. This damaging radiation is emitted by the Sun and is extremely dangerous. The ozone layer absorbs around 99% of this harmful radiation, and is not used up in the process, so why are there giant holes in this shield? The ozone hole is largely over the Antarctic and is between 21 and 24 million square kilmoetres in size. The hold is caused by ozone reacting with CFCs - pollutants used in refrigeration. Fast Fact: The largest recorded ozone hole occurred in 2006 at 20.6 million square miles (33.15 million square kilometres). 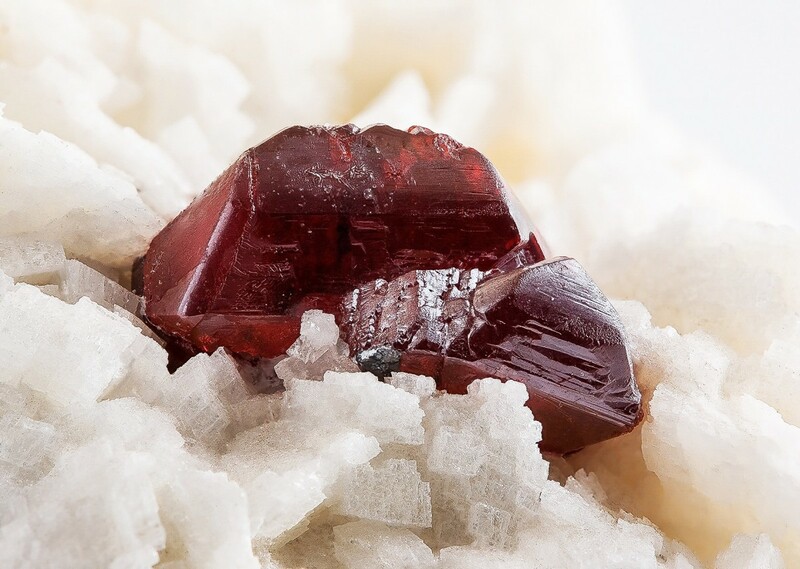 What is your favourite chemistry experiment mentioned in this hub? i love Chemistry even though is tough i wil keep on trying,so guys let us not give up thanx. As i thinking chemistry is the most critical subject in science and provide a lot of knowledge about the the universe and it's also have most complicated. as you provide a great source of leaning and many of us can learn from this article about chemistry. calculate the boiling point of a solution containing 0.456g of camphor (mol.wt.=152)dissolved in 31.4g of acetone (b.p=56.30deg C)if molal elevation constant is 1.72k/m. Oh, yes, the image you've created in your mind probably doesn't nearly capture the mess. It was almost an I Love Lucy moment. It took forever for me to live that one down! By the way, if you have a hub on the scientific info about how ozone is created, I'd love to link it to a hub I just wrote about air pollution. Let me know! I'm glad you found the hub informative. Ozone is one of those weird chemicals - when produced at sea level (usually in car engines) it is highly toxic, but without it life as we know it could not exist. I run a 'fireworks' science lesson usually once a year with my pupils to demonstrate how fireworks get their colour - it is very popular! @Melovy: At least half of the questions came from a question box I gave my Year 7 pupils in lesson for inspiration, so hopefully it is relevent to your kids! @Amy: I'm glad you enjoyed the hub. Chemistry is not my specialism so I learnt a lot whilst writing myself. As I said in the forum - many of the ideas came from my fellow hubscribers so it is really a team effort! As usual, your hubs are informative and fun to read. I had never considered how glow sticks work (although my kids love them), but it sounds very cool. Thanks for sharing! This looks like just the sort of thing my kids will love. The younger one is a Myth Busters fanatic as well as constantly wanting to know how things work, so I will be pointing her to this hub. And I am very pleased to finally know how matches work! I need to print this out and save it for one of those times when you need details like this. I've written about ozone before, and I know a few things about some of what you mentioned, but I've never heard of the Coke thing, and I certainly didn't know how colors were produced in fireworks! Years ago, when I was having one of my first teenage parties, I tried to invent a punch recipe by putting Fizzies in 7-up. You can figure out what happened after that . . .